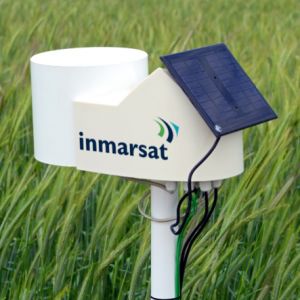 [Hannover – Nov. 13, 2017] Inmarsat (LSE:ISAT.L), the global mobile satellite communications provider, has agreed to enter into a strategic partnership with Pessl Instruments, a leading provider of advanced agriculture technology solutions, to become its sole connectivity and platforms provider. The partnership promises to speed up the adoption of Internet of Things (IoT) in the agricultural sector by making it possible for customers to take advantage of IoT anywhere on the planet. Founded in 1984 and headquartered in Austria, Pessl Instruments offers solutions for more informed decision-making in the agricultural sector, including a complete range of wireless, real-time weather, insect, crop growth and real nutrient status solutions. The agritech business, which also operates under the METOS® brand, has a direct presence in 13 countries and distribution channels in over 80 countries around the world. Inmarsat has a proven track-record of working with some of the most innovative energy and utility companies globally. Our connectivity and IoT solutions enable applications such as well-head monitoring, artificial lift monitoring and control, smart grid monitoring, asset and employee tracking, and communications, delivering operational efficiencies and the safeguarding of people and assets. For more than 30 years, Pessl Instruments has been offering tools for informed decision-making. A complete range of wireless, solar powered monitoring systems under the METOS® brand, and an online platform FieldClimate.com are applicable in all climate zones and can be used in various industries and for various purposes – from agriculture to research, hydrology, meteorology, flood warning and more. Over the years, METOS® has become a global brand with local support, and we are proud to say we managed to reach out to almost every corner of the world. We believe that durable, highly precise technology and support by our trained partners worldwide are the recipe for success. The METOS® brand lasts longer, performs better, is easier to use and offers you the lowest total cost of ownership.